Welcome to Bernard Orewa MD PC @ St James Medical center where we strive to deliver excellent quality and exceptional care to our patients. The full service approach to medicine that we use starts from. the moment you step into the office and ends only when the best care has been offered. 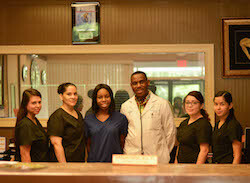 Our Medical staff is very qualified to take care of your health needs. When your needs cannot be met by our medical staff, we refer you to very competent specialists, Diagnostic centers / Laboratory services or hospitals in the Local area. Es proveer excellente attention medica a nuestros patients durante su visita en nuestra officina y asegurarnos que tenga la major calidad de attention con nuestros associados especialistas y hospitales.